Running is one of the easiest and cheapest ways to improve your fitness levels, it requires little equipment and can be achieved almost anywhere. For most people running burns on average 100 calories a mile so is one of the most efficient ways to burn calories and stay in shape. Maintaining the motivation to run can be difficult so we have compiled our top 5 tips to inspire you to keep it up. New shoes can be the first stage of the quest to running regularly as fresh clean running shoes not only give you a spring in your step but look great too. Take the time to find the right shoes as you will hopefully be wearing them for many miles to come. Consider the type of running you will be doing whether it be trail or road and choose accordingly. Investing in quality well-fitting shoes will help enormously as nobody wants to end a run in poorly fitting shoes that have rubbed and created blisters. Finding the motivation to leave the house after a hard day’s work or first thing in the morning can be difficult. Having a running partner can override those feelings and encourage you to get outside. Having a set time and place to meet your buddy will energise you and make you feel guilty if you miss out and stay at home. can be a social experience and a wonderful way to meet new people or make new friends. By joining a local running club, you can enjoy both the social interaction but also be inspired to join in with the run. You are much more likely to keep up running if you are surrounded by like-minded people all with the same drive and determination. Music can be inspirational and help fight mental fatigue, blasting out your favourite songs can help alleviate the boredom you may suffer with when running, particularly if you run the same route. 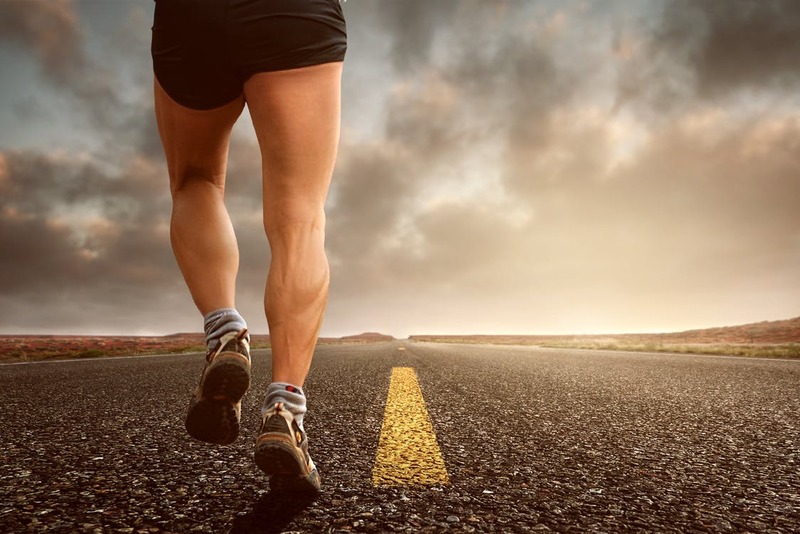 Soothing music can be relaxing and help calm an anxious or stressed mind or alternatively up beat fast paced music can encourage you to run harder and faster and get your adrenaline pumping. Having a goal or target can be ideal in helping to maintain motivation, sign yourself up for a local 5 k or 10 k charity run or if you are feeling adventurous a half marathon. This will give you something to aim for in both the long and short term, short term in the training and long term in the run itself. If you are running for charity this will increase the feel-good factor and your satisfaction once you have completed the race. Once you have signed up for a racing plot out a training schedule or create a countdown as this will help keep you on track and inspired.